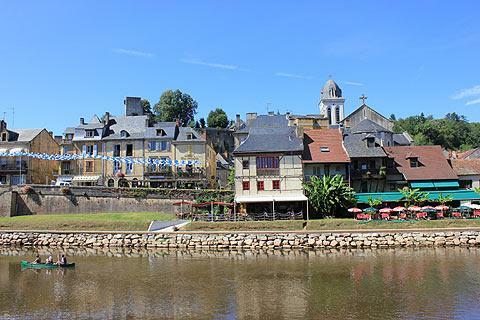 This pretty village on the Vézère River is most famous for being home to the Lascaux Caves, but the village is also well worth an exploration especially for the attractive balconied houses along the river front. 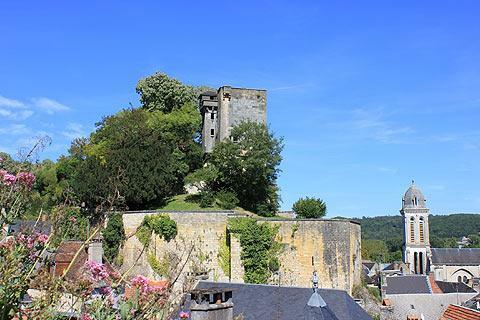 There is also a walk up above the town that has splendid views of the town, the river and the ruined castle. 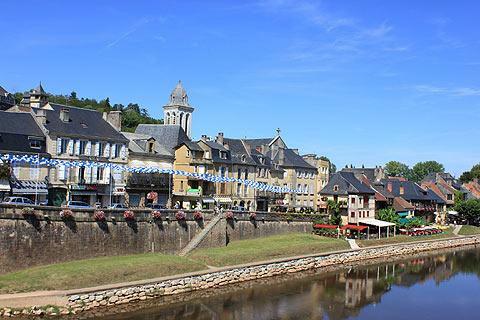 Head first for the tourist office in Montignac and pick up their map which shows a route around town which includes all the main highlights. The tourist office is next to the ticket office for Lascaux caves and so you can buy your tickets at the same time. 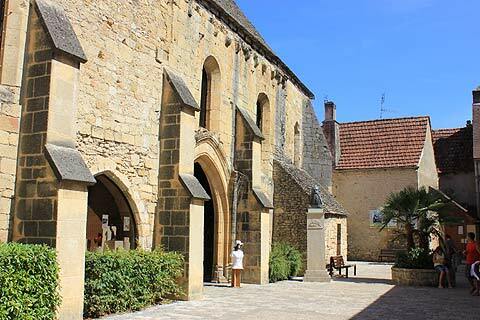 The buildings here are interesting: Montignac tourist office is in the 13th century Hopital of Saint Jean the Evangelist and opposite you can see the Priory of Saint-Georges which is now home to an exhibition space for local arts and crafts. The highlight of the village is probably the lovely houses on the edge of the river. These have balconies on their top floor built out of wood and raised on wooden beams. Some are enclosed and some open giving their owners fabulous places to sit overlooking the river. Also on the river you can see an attractive, old stone bridge built in 1766. The original wooden bridge was burned by the protestants in 1580 and then its replacement was swept away by floods. 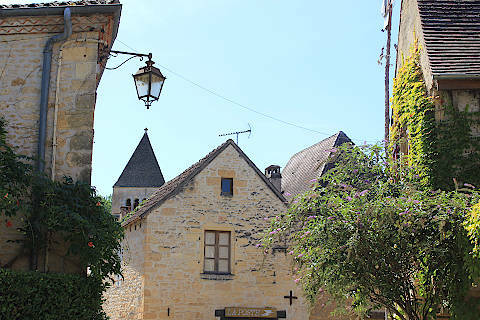 The rue de la Pègerie was once the most importand street in Montignac and it was here that the main shops and houses for wealthy tradesmen were located. 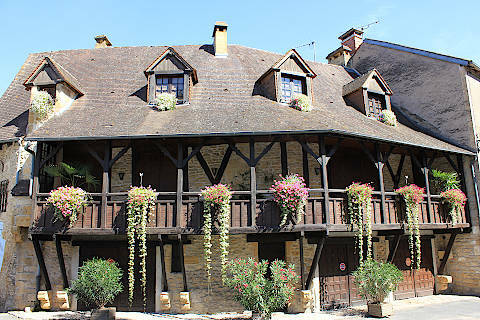 Most buildings on Rue de la Pegerie date to the 14th century and many are half timber buildings with mullion windows. No. 1 Rue de la Pegerie is thought to have belonged to Jeanne d'Albret, mother of Henri IV. 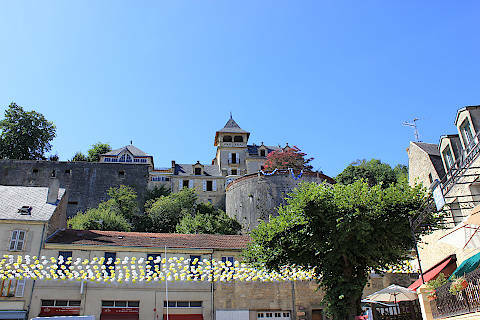 The Chateau de Montignac sits on a small hill in the middle of town. 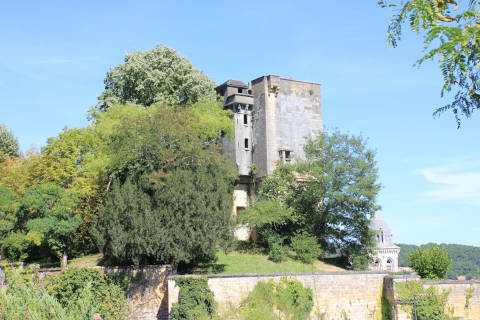 It was once a very important castle in the region, but is now largely in ruins. There is really only a tower and a few walls remaining. The church of St Pierre contains a painting by Juan Sanchez-Cotan who worked with Greco. The painting is called the 'Death of Saint Bruno'. 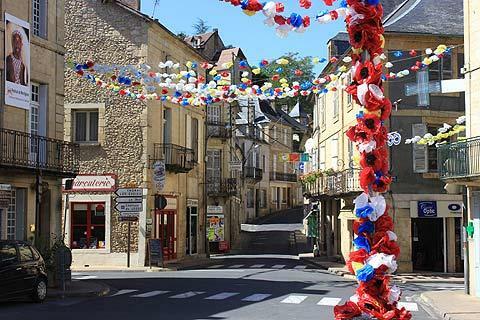 Each year at the end of July Montignac is host to the Festival of Folklore de Montignac. It is of course the Lascaux caves that you will want to visit when you are at Montignac. 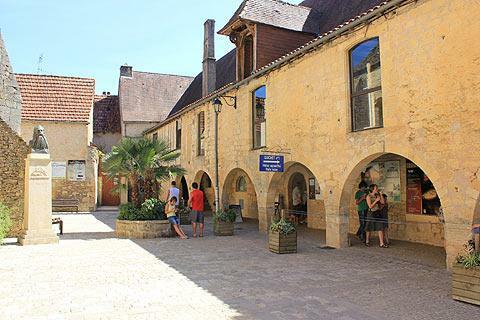 The Pole International de la Préhistoire (exhibition about Prehistory) is in the Hopital of Saint Jean l'Evangeliste along with the tourist office. 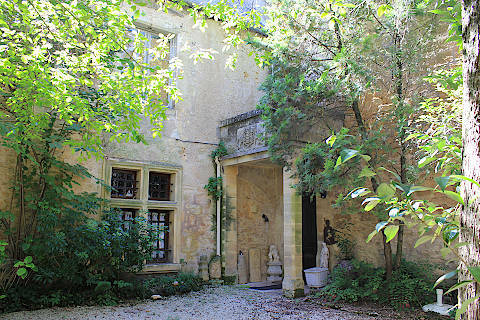 Near to Montignac are the Chateau de Losse and at Le Thot there is an exhibition dedicated to Cro-Magnon man. It includes a reproduction of some paintings from Lascaux which are not on view at Lascaux 11.